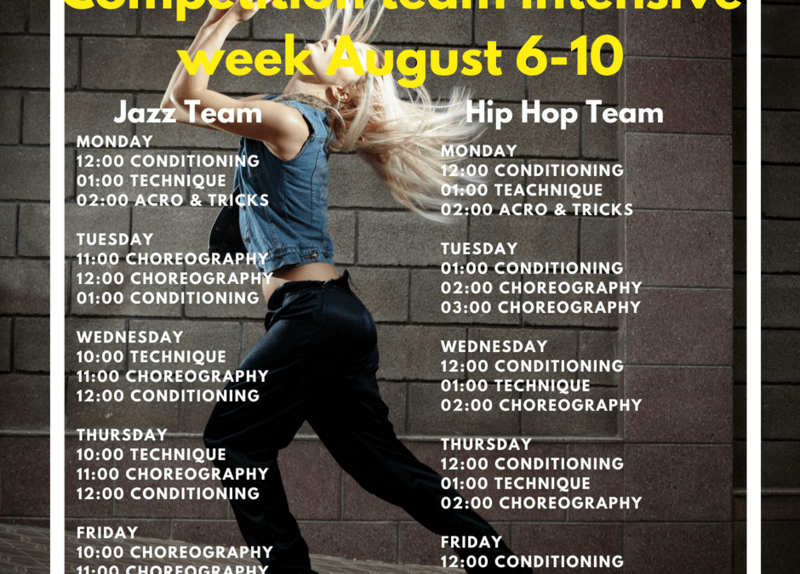 Jazz and Hip Hop team intensives begin tomorrow. Intensives are open to all Kirova Ballet Academy students ages 7 and up. Cost is $180 for the week. Must pre-register. Send an email to barbara@kirova-ballet.com. 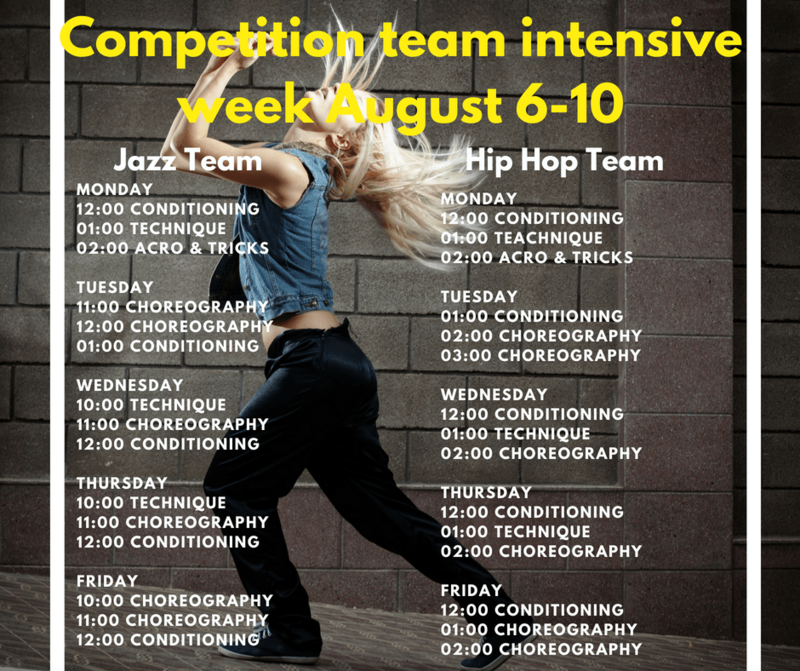 If you are unable to commit to the whole week, you can drop in for the conditioning, technique and acro classes. No drop ins for the choreography classes.